Let’s learn about the color blue today! 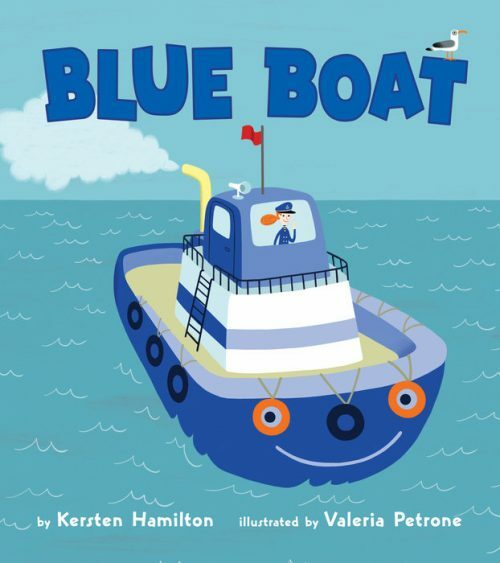 To kickstart this post, we are introducing a brand new book titled, Blue Boat. It’s great for preschoolers as well as toddlers. 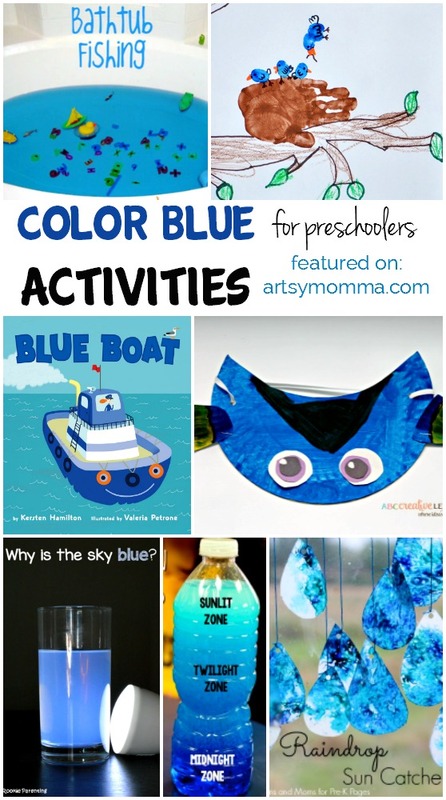 We have gathered up a variety of color blue learning activities and craft ideas to make along with this heroic story about a brave little tugboat. This fun story has many different shades and tints of blue that fill the entire pages. The rhyming is fun and sure to be a hit with younger kids who seem to love books about vehicles and the sounds they make. I love that there’s a trio of colored vehicle books for little ones to enjoy! Keeping with the ocean theme of the book, this bathtub fishing game incorporates a bit of learning and is the perfect boredom buster for a rainy day. Ready to go see the new Finding Dory movie? SInce she’s blue, this paper plate Dory visor craft would be fun to make for a blue themed day. For added learning that also incorporates different shades of blue, check out this awesome ocean zone layers sensory bottle! We made these adorable fingerprint bluebirds for Crystal & Co. awhile back and they still make me smile everytime I see them! If you’re looking for a paint-free activity, these recycled k cup bluebirds are made with tissue paper. For an even simpler paint-free activity, try making this traced hands and foot bluebird craft. Pre-k Pages shares DIY raindrop suncatchers that build on fine motor skills while being creative. Why is the sky blue? Fascinating way to incorporate a bit of blue science. Have you tried painting with blueberries? We did! It goes along with a well-known kids book about blueberries. Another cute blue character craft idea is this super cute recycled k cup Sulley craft from Monsters Inc.
What color blue learning activities have you done?